Do you need to sell your Connecticut home? Are your worried that you will have to fix something, repaint one or more rooms or re-carpet the entire place? Is the prospect of waiting for weeks to get an offer and then having to wait a couple more months for the buyer to get their financing straightened out have you afraid? There are a variety of reasons why you may need to sell, and there are an equally broad set of reasons why going the normal route may not be for you. We have a solution for you. We will give you an offer, all cash, and we can proceed to a quick settlement. And we buy your home as-is, where-is. No concern about the condition of your home – just a quick sale and closing and you are free of all the worries that come with selling your home. And there is no 6% commission that take tens of thousands of dollars out of your proceeds. Think of what you can do with that extra cash. It is even easier that trying to sell you home as a FSBO. No trying to duplicate all of the activities of the Real Estate agents. No getting a lawyer involved. No finding a company to conduct the closing. Here is how it works. Send us some details on your home using our website or call us at 1- 860-876-SOLD . We will be back to you within 24 hours with a few questions. We run your home through our underwriting department and send you a cash offer to buy your home. No hassle – no problems. It is the simplest and quickest way to unload a house that has become a drag on your way of life. 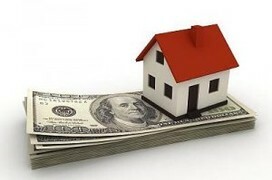 Cash for you Connecticut home is what we are all about. You can make your life easier and move on to the next stage with some cash in hand. Let us buy your Connecticut home for cash.